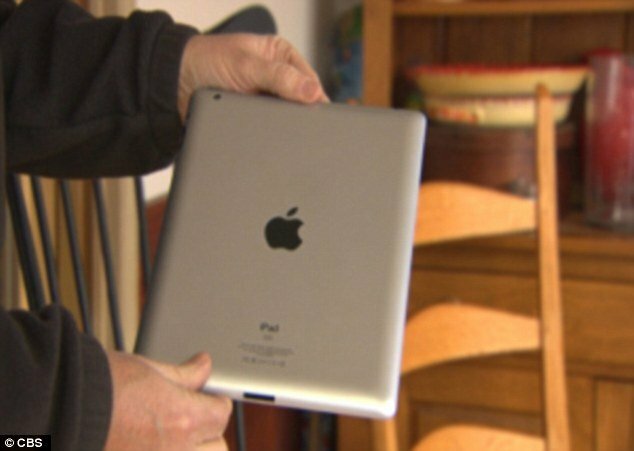 Suzanne Nassie from Massachusetts says that an iPad she bought at Walmart turned out to be only a piece of plastic painted to look like a real tablet. Suzanne Nassie said she knew there was a problem the second she opened the shrink wrapped package. The fake so confusing the store even refused her a refund at first before finally relenting. “This isn’t even a real device,” Suzanne Nassie said upon discovering the trick. There was no cord, and no way to turn the device on. Suzanne Nassie brought it back to the store, but wasn’t allowed to speak to a manager and was refused a refund even though she brought the $499 receipt printed out just 20 minutes prior. Instead Walmart employees told her to contact Apple. By then she’d found even more problems. “There’s a speaker that’s suppose to be on the back, it’s just little painted dots,” Suzanne Nassie told CBS Boston. Suzanne Nassie isn’t the first Walmart customer to get burned on an iPad. People have reported buying fake devices at stores in New Jersey, Florida, and Texas. This November, Florida man Emilio Pereda told reporters he purchased a fake iPad from the retail giant for $500. “There were no red flags,” Emilio Pereda said. Suzanne Nassie has since been contacted by the store manager who apologized then offered a full refund. “It’s frustrating that someone would try to take advantage of others for their own gain. We have apologized to our customer and offered her a full refund,” a Walmart spokesperson said.